Demystify endodontic treatment with this start-to-finish brochure. 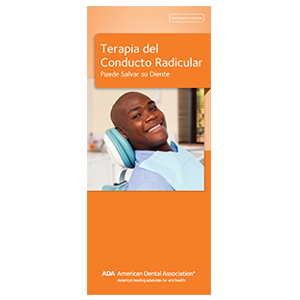 This revised brochure helps patients see the tooth-saving benefits of a root canal with step-by-step illustrations. Encourages patients to return for a permanent restoration. 8-panel brochure, pack of 50.